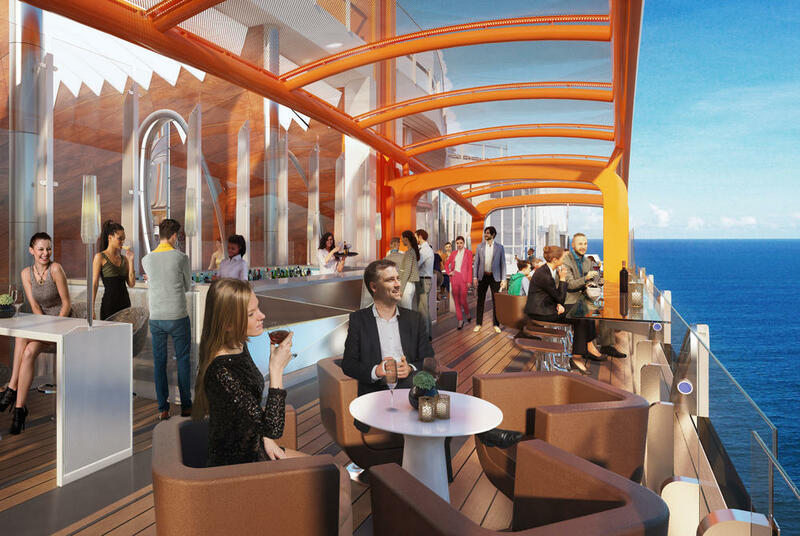 Situated on the side of Celebrity Edge, The Magic Carpet is a moving venue designed with comfortable seating, a full bar, and space for live music performances. This spectacular space opens to several decks and transforms into a new and exciting venue depending on which deck it’s positioned. Let’s start at the very top. When positioned here, The Magic Carpet becomes an extraordinary venue high in the sky where Celebrity Cruises host mouthwatering experiences such as Dinner on the Edge. Get ready for a unique, al fresco culinary journey that satisfies your taste buds, your eyes, and your sense of wonderall at the same time. 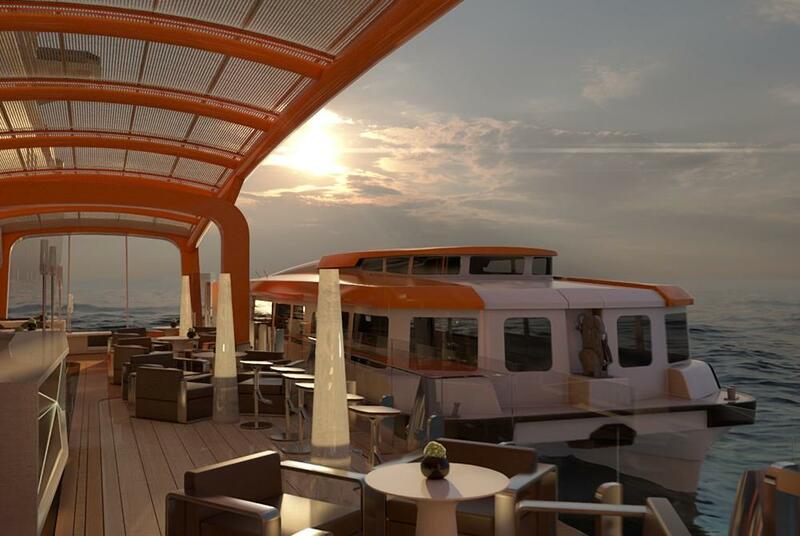 Down to Deck 14, The Magic Carpet becomes an extension of the relaxing main pool area, the perfect place for breathtaking views, tantalising drinks, and live music. 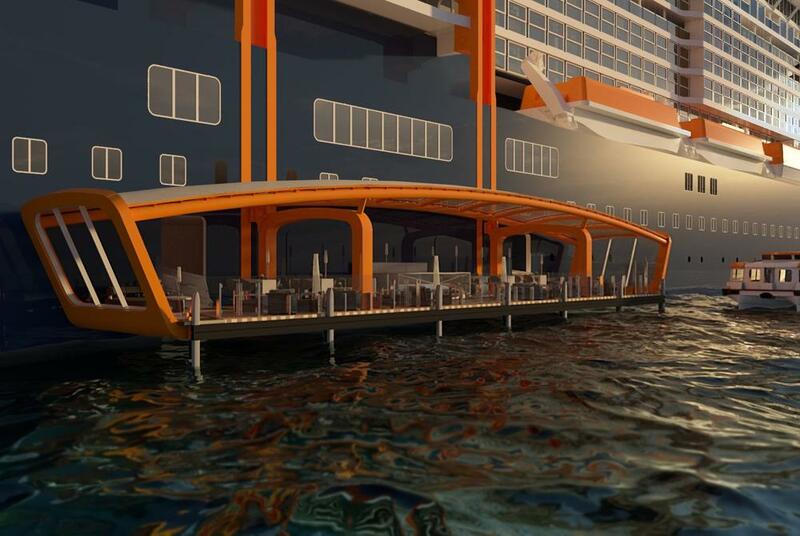 When on Deck 5, The Magic Carpet serves as an extension of one of Celebrity Edge's exciting new speciality restaurants. Here it creates an intimate, open air dining experience that makes the fresh ocean fare taste even fresher. At the bottom on Deck 2, The Magic Carpet becomes an extension of the Destination Gateway, a new area that becomes a luxury embarkation station where guests will be whisked away aboard the newly reimagined Edge Launches (think ships tenders) that offer bucket seats, air conditioning, large windows for stunning sea-level views, and more space—all designed to get you to your destination in modern luxury style.